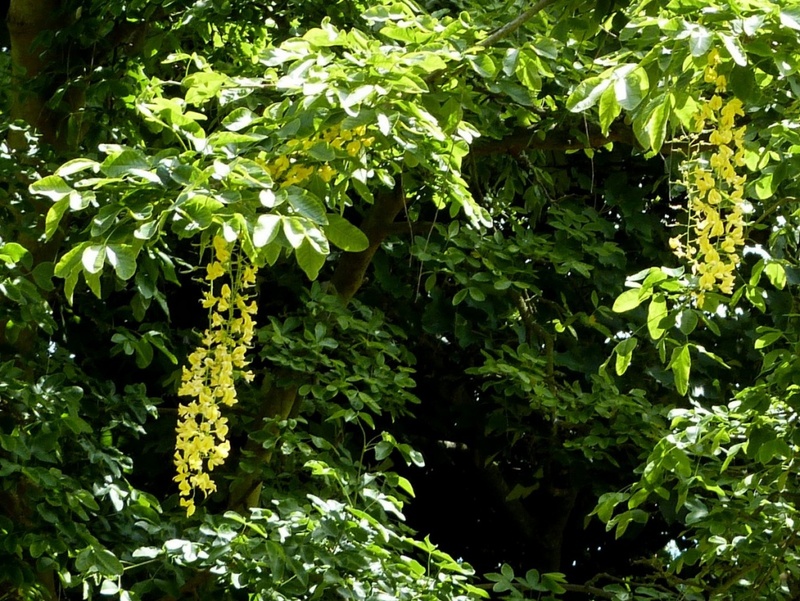 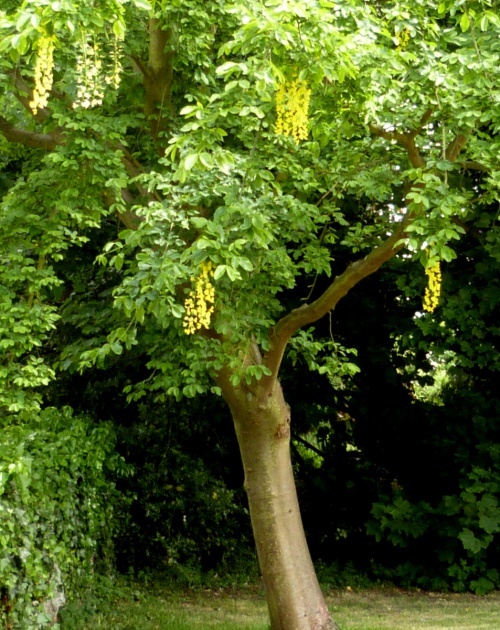 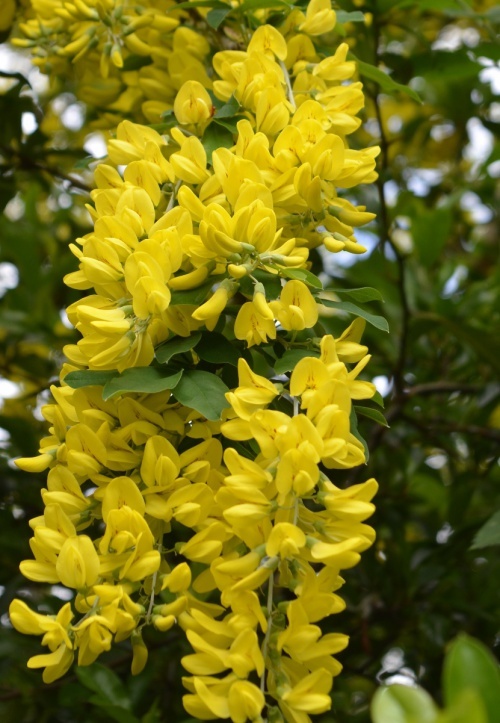 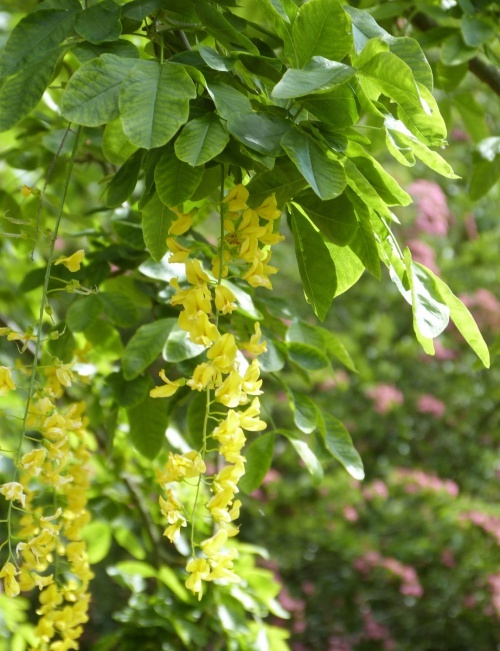 The common laburnum is well known for its pendulous racemes of pea-like, sweet-scented yellow flowers borne in May. 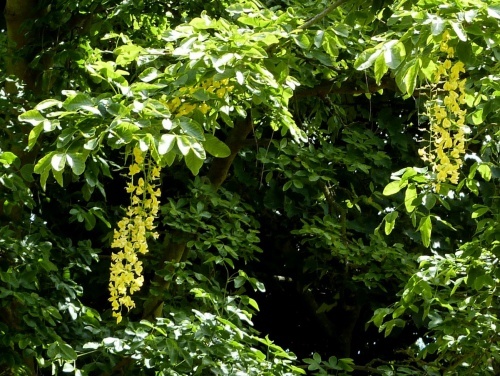 The plant can be shrub-like or develop into a small tree up to 7m tall. All parts of the plant, especially the seeds, are poisonous to humans, horses and goats. 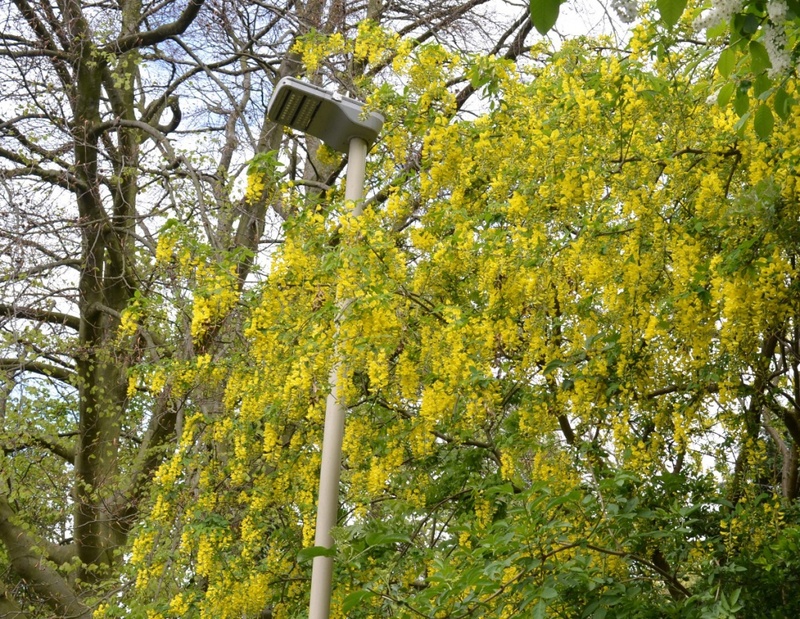 Damp and mild habitats, especially on calcerous soils. All year, flowering in May. 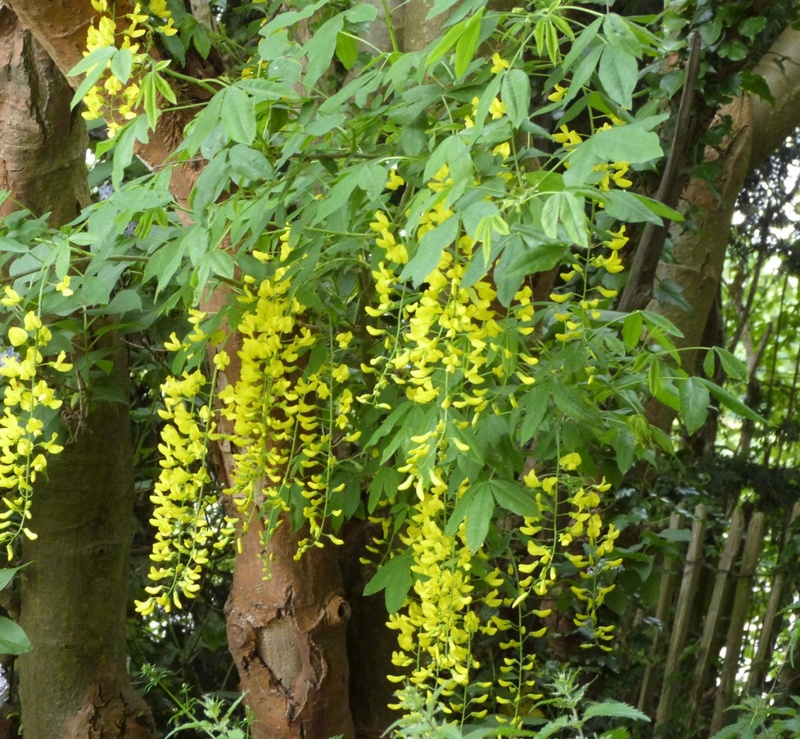 Introduced/naturalised. 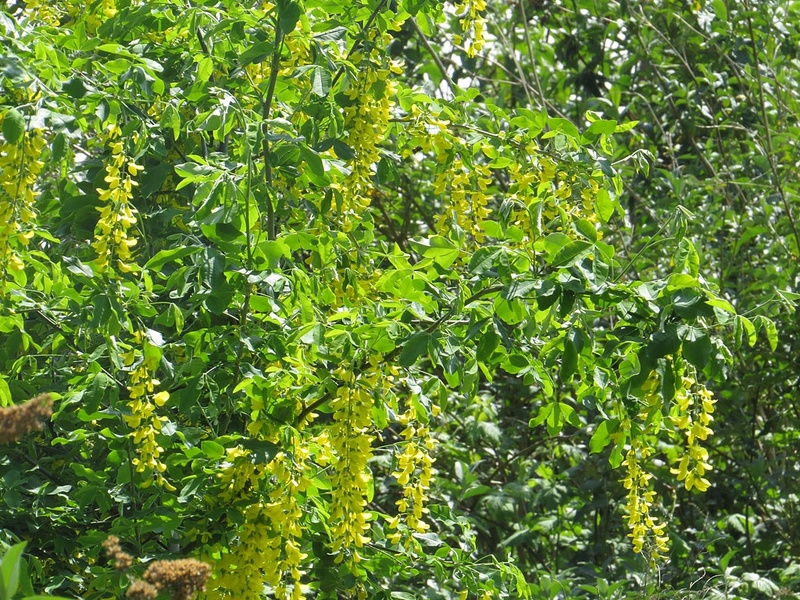 Common across most of UK. Much planted and regularly self-sown.